A long-lost silent film admired by historians as a rare visual account of Native American customs is being released after a private detective in North Carolina stumbled across a damaged copy. 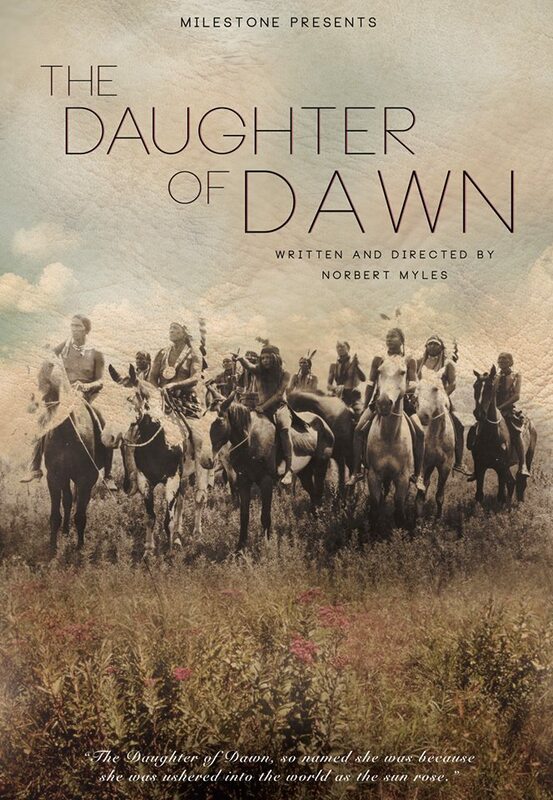 The Daughter of Dawn — first screened in Los Angeles in 1920 — features a large cast of Comanche and Kiowa people, and shows scenes of buffalo hunting and ceremonial dances obscured by time. The copy, discovered more than a decade ago, has been restored and was screened in Texas this week, ahead of its commercial release later this year. Two of the approximately 300 Comanche and Kiowa people in the film, which portrays a fictional love story that also serves as a record of Native-American traditions, are children of legendary Comanche chief Quanah Parker, whose exploits were widely recounted on the frontier. The Daughter of Dawn was a striking departure from the racial stereotypes found in films from that time, such as D.W. Griffith’s The Birth of a Nation. The year after the movie was first screened, a fire destroyed the Dallas warehouse where the small Texas Film Co., which produced The Daughter of Dawn, stored most of its work. Somehow, a copy later ended up in the care of a North Carolina resident, who offered five nitrate celluloid reels to the private detective as payment in an unrelated matter. The detective then sold the reels of the movie — shot in the Wichita Mountains in southwestern Oklahoma — to the Oklahoma Historical Society for over $5,000 before Milestone was recruited as the distributor. The historical society retains ownership of the original nitrate film, which is being stored at the Pickford Center for Motion Picture Study in Los Angeles. The delicate restoration work took years, and an orchestral score was completed in 2012. A year later the Library of Congress added the movie to its National Film Registry. An initial screening of the 87-minute, black-and-white film was held this week at an Amarillo library. The film will be released on DVD and Blue-ray, and made available through online outlets. Space station astronauts have finally received a big screen. They are enjoying the 65-inch projection screen that was delivered to the International Space Station nearly two weeks ago. The screen, rolled up for compact storage, flew up on a SpaceX Dragon capsule. The screen is useful for work as well as entertainment. Last weekend, for instance, the crew used it to watch the 2013 space thriller Gravity. Until it arrived, astronauts had to huddle around their laptops for video conferences, training sessions, and cinema. 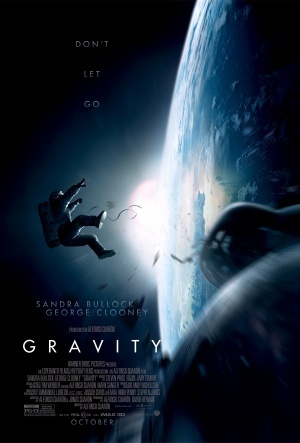 While some of the astronauts had seen this epic film before arriving at the orbiting lab, it’s a vivid experience to be able to watch it in space, especially given the level of space station detail recreated in the movie. The Austin, Texas, manufacturer, Screen Innovations, calls it the Viewscreen, the same name used by the fictional Star Trek crew. The screen is designed to reject ambient light, ever-present inside the orbiting lab. Here’s to NASA, and to the first man-cave among the stars — the sky is no longer the limit, the company says on its website. For the record, there are currently five men at the space station, American and Russian; plus one woman, an Italian fighter pilot. A truly unique Hollywood-and-Vine moment, where Hollywood metaphorically meshes with history. My phaser is on stun! 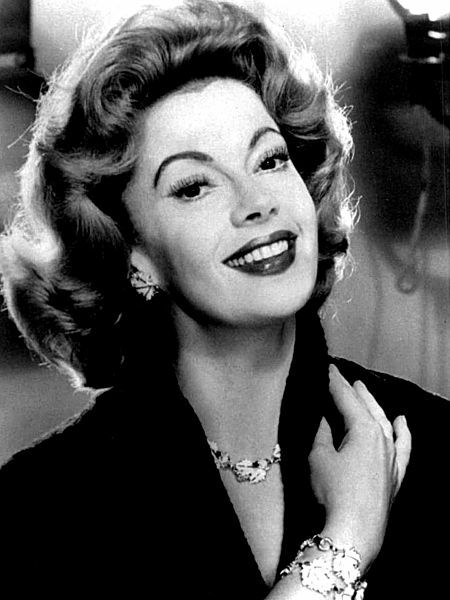 Jayne Meadows, the Emmy-nominated star and television personality who often teamed with her husband, Steve Allen, has died. She was also the sister of Honeymooners star Audrey Meadows and was a staple of talk shows and game shows. Her notable movie roles include Song of the Thin Man, David and Bathsheba, Lady in the Lake, The Luck of the Irish, and Enchantment. Later, she appeared in the City Slicker series of flicks, Casino, and The Player. After Communist China began opening up in the 1970s, Meadows traveled there with Allen several times, seeing the country of her birth for the first time in decades. She was active in community service, including volunteering at the Los Angeles Mission for people in need. <——— DON MANKIEWICZ, an Oscar-nominated screenwriter from a legendary Hollywood family who created the television shows Marcus Welby M.D. and Ironside, has died. He also wrote of episode of Star Trek and the mini-series adaptation of President John F. Kennedy’s book, Profiles in Courage. He was the son of Herman J. Mankiewicz, co-writer of Citizen Kane, and his uncle was Joseph Mankiewicz, director of All About Eve and other classic films. His first job was as a writer for New Yorker Magazine. In 1954, he published the novel Trial that was made into a film starring Glenn Ford and Dorothy McGuire. Mankiewicz earned an Academy Award nomination for his 1958 screenplay adaptation of I Want to Live!, a movie that earned an Oscar for Susan Hayward. 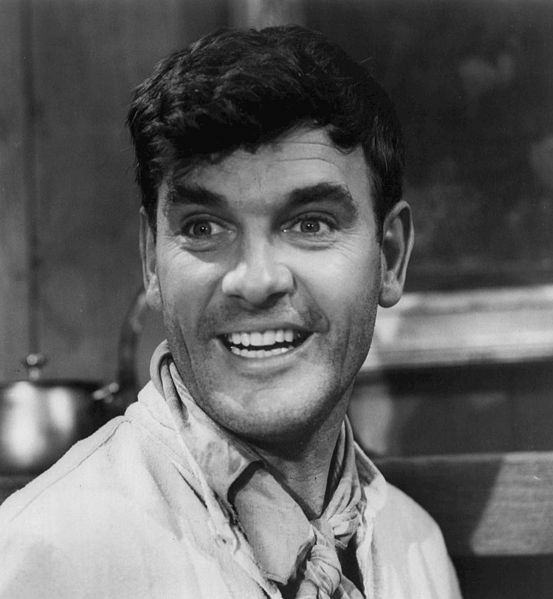 Early in his television career, Don wrote scripts for the drama series One Step Beyond and Playhouse 90. As a member of the Writers Guild of America, Mankiewicz helped gain union representation for quiz-show writers. 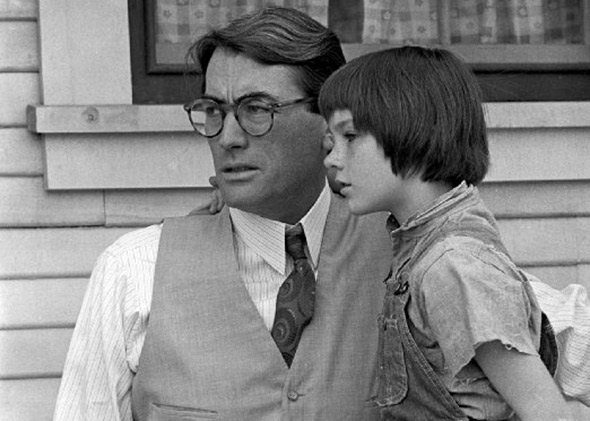 To Kill a Mockingbird author Harper Lee has started a nonprofit company that will continue producing a play version about the book, ending a dispute that threatened to derail the long-running performance. Dramatic Publishing Co. had refused to extend the rights for the production in Lee’s hometown of Monroeville, but the Illinois-based publishing company announced Saturday that Lee has founded a new nonprofit group called the Mockingbird Company. The organization will produce the play beginning next year. The Monroe County Heritage Museum has staged the play for over two decades, but it’s been involved in legal disputes with Lee in the past. Lee sued the museum in 2013 over Mockingbird souvenirs sold in its store after the museum opposed her application for a federal trademark for the title of her book. The dispute has since been settled. The play is currently in its 26th season in Monroeville, which was the town template for the fictional Maycomb in Harper Lee’s book. The performances this month and next are sold out; lots of excitement over publication of Lee’s second literary work, Go Set a Watchman, helped tickets sell out faster than normal. Once barely understood by the Establishment, today they are celebrated. They even appear on a Royal Mail stamp, a big deal in England. 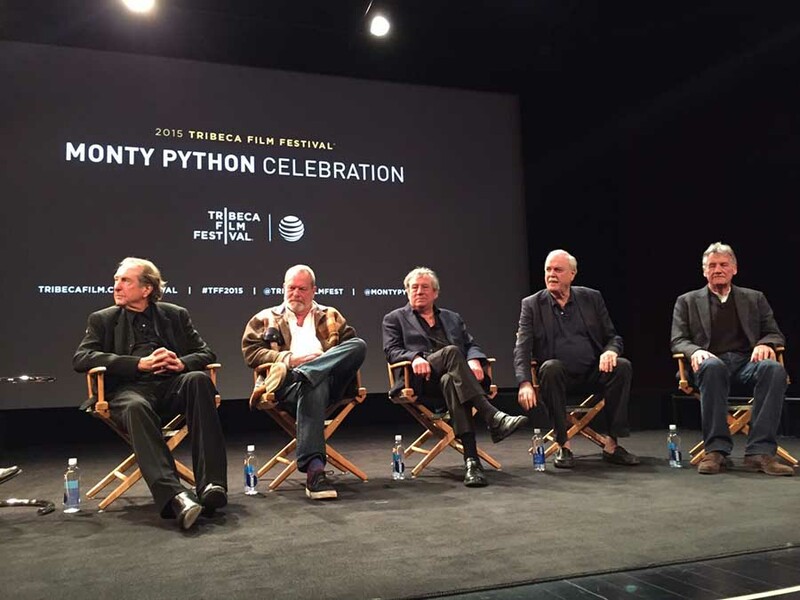 This weekend, the surviving Monty Pythons (right) — John Cleese, Eric Idle, Michael Palin and Terry Jones, plus Yankee interloper Terry Gilliam (Graham Chapman, died in 1989) — reunited in New York for the 2015 Tribeca Film Festival, with a 40th anniversary screening of their Brit masterpiece, Monty Python and the Holy Grail, and other cinematic entries. 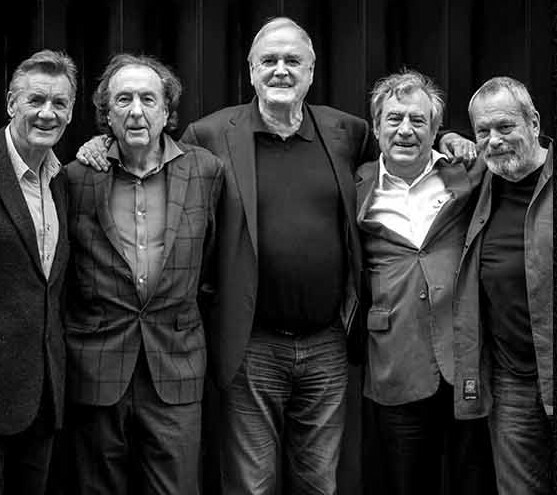 The surreal comedy group created the sketch comedy program Monty Python’s Flying Circus that first aired on the BBC in 1969. Forty-five episodes were made over four years. The Python-phenomenon developed from the television series into something larger in scope and impact, spawning touring stage shows, films, numerous albums, several books, and an award-winning musical. The group’s influence on sketch comedy has been compared to The Beatles’ impact on music. They coloured the work of cult performers from the early editions of Saturday Night Live through more recent absurdist trends in television comedy. During a session with reporters Friday afternoon, the Pythons recalled that, back in 1975, Holy Grail opened in New York with free coconuts (which comically figure into the movie) presented to the first 2,000 ticketholders. It was a hit. But four years earlier, the Pythons’ first film, And Now for Something Completely Different, was a financial disaster in the United States, partly due to the producers’ meddling. In 2005, Holy Grail spawned a Tony Award-winning Broadway musical smash hit knockoff, Spamalot. Written primarily by Idle, the production has an overarching plot and leaves out certain portions of the movie due to difficulties in rendering certain effects on stage. 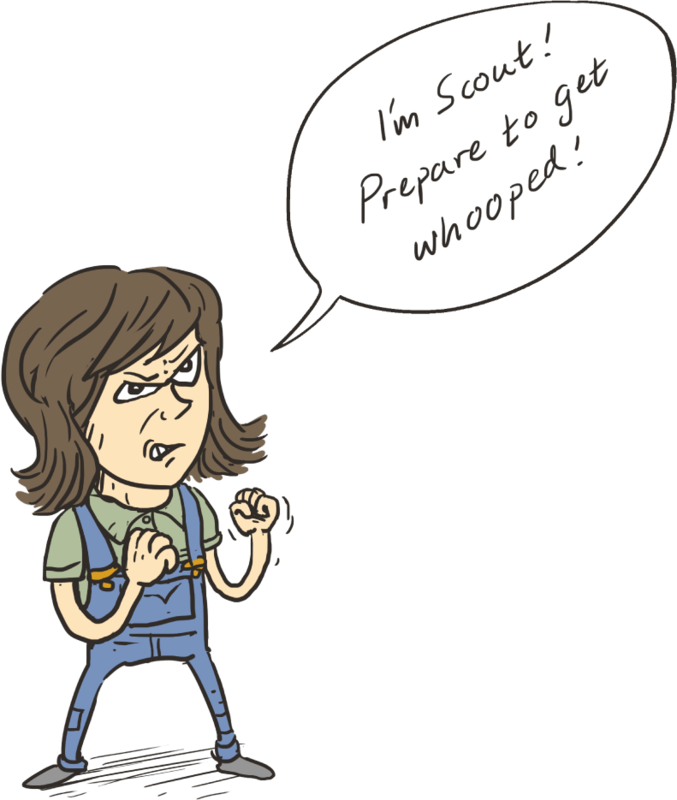 However, the same gags are there for the majority of the show. They reign as elder statesman of cerebral silliness, these alumni of the comedy troupe and, some would argue, the funniest men who ever lived. My wife Laurie and my close friend Kenny Walter consider Monty Python and the Holy Grail the wittiest flick ever put on celluloid. Like Camelot… ‘tis a silly place. Episode #4 on FORGOTTEN HOLLYWOOD features a savvy interview with publisher of the Hummingbird Review, author, and web cable host Charlie Redner. A man for all seasons, he is currently embarking on a new venture… documentary filmmaker. 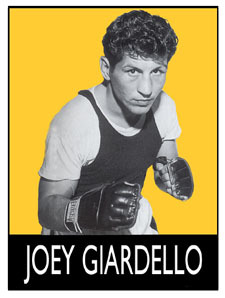 Redner’s initial project will share the story of former Middleweight Boxing champion, Joey Giardello. Overcoming adversity in his youth, he tackled Down Syndrome, when his son Carmen was diagnosed with the disease. Our program is entitled: Down Syndrome… A 12-Round Story. The interview on THERAPYCABLE CHANNEL, Redner will chat about his efforts to see this project to fruition; chronicles the fine work of the Special Olympics; and discuss his career as a passionate and active scribe. He also offers how the influence of Silver Linings Playbook, The Devil’s Brigade, and Hurricane will influence Charlie’s approach in working on the upcoming documentary. Click on the link (or cut and paste) to watch and enjoy! FORGOTTEN HOLLYWOOD ON THERAPYCABLE is based on my franchise that includes a book series, a weekly radio show airing on the 90.1 FM KBPK on Sundays at 7p (pst); this blog, and a documentary currently in production. An email exchange in a newly published database of hacked Sony Pictures documents looks to be embarrassing for Ben Affleck and PBS. Affleck had demanded that the show Finding Your Roots withhold the nugget that he had a slave-owning ancestor. The pressure appeared to be successful, because when the Affleck episode aired, it made no mention of the relative. The revelation is courtesy of an email written by host Henry Louis Gates Jr. to Sony chief Michael Lynton seeking advice on how to handle the situation. Ultimately, I maintain editorial control on all of my projects and, with my producers, decide what will make for the most compelling program. In the case of Mr. Affleck—we focused on what we felt were the most interesting aspects of his ancestry—including a Revolutionary War ancestor, a 3rd great–grandfather who was an occult enthusiast, and his mother who marched for Civil Rights during the Freedom Summer of 1964. Finding Your Roots is a public affairs program that highlights the genealogy of notable personalities, such as Robert Downey Jr., Anderson Cooper, and Ken Burns. PBS backed its host up, praising Gates’ integrity and saying the quality of the stories on his show speak for themselves. As a precaution, PBS will conduct an internal review following revelations that producers of Finding Your Roots may have violated the network’s editorial standards. I’m quite sure the public will chime in with an opinion over the decision. I recently visited the annual Turner Classic Movies Film Fest with the TherapyCable production cameras in tow. 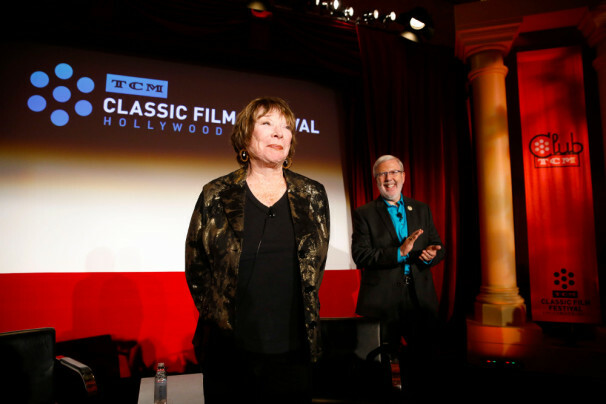 I was able to chat with motion picture historian Leonard Maltin, presenters of cinematic retrospectives, members of the TCM staff, and vacationers from across the country. Along the way, I ran into Mickey and Minnie Mouse; plus I witnessed an insightful interview with screen legend Shirley MacLaine. Movies, including The Thomas Crown Affair, Dr. No, Midnight Cowboy, The Apartment, Terms of Endearment, The Trouble with Harry, Steel Magnolias, Goldfinger, The Children’s Hour, Dr. Strangelove, Bound for Glory, A Clockwork Orange, and Downton Abbey, are featured in this spontaneous field trip. Forgotten Hollywood on TherapyCable is based on a franchise that includes a book series, a weekly radio program airing on the 90.1 FM KBPK on Sundays at 7p (pst); this blog, and a documentary currently in production. 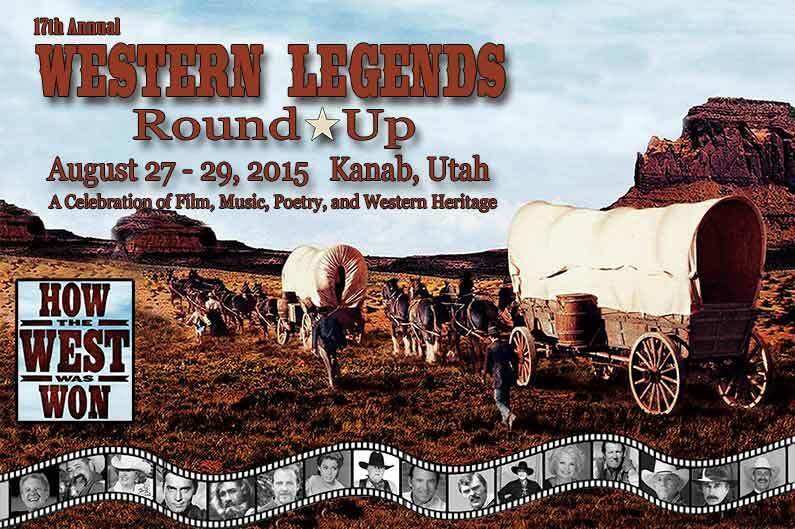 Live entertainment at the Round Up will feature the Sons of the Pioneers and Suzy Bogguss. There will also be a tribute to Marty Robbins and Patsy Cline. Expected actors set to spend treasured time with visitors include Dan Haggerty, Barry Corbin, Clint Walker (right), and Bruce Boxleitner. Leading up to the weekend event is an actual Wagon Train. The trip includes a seat in the wagon, meals, and evenings by a campfire. Imagine yourself stepping back in time, traveling by covered wagon down the same trails the pioneers, John Wayne, and others trekked in settling the West, and in all of those great Western movies… They start the trip with a chuck wagon supper at MacDonald Ranch, in the very spot where the Daniel Boone television series and other movies were filmed. Tuesday morning, they will leave the ranch and travel through the Grand Staircase National Monument passing by many famous cinematic locations, such as the Gunsmoke set. Stan Freberg was the comic genius who lampooned American history in his landmark recordings and was hailed as the father of the funny commercial. His face might not have been as recognizable as other humorists, but his influence was arguably greater, thanks to a huge body of work assembled over 70 years that encompassed comedy albums, advertising jingles, radio, television, and nightclub performances. He planned to attend Stanford University on a speech scholarship, but the summer before, he decided to visit Hollywood on a lark to see if he might have a chance in show business. He recalled taking a bus to Hollywood Boulevard and walking into the first office building he saw, one housing a talent agency called Stars of Tomorrow. On the strength of his impressions of famous people, and his distinctive booming voice, the agency sent him to Warner Brothers’ cartoon division, where he was hired the next day. He appeared in It’s a Mad Mad Mad Mad World; and he voiced numerous cartoon characters for such work as Alice in Wonderland, Lady and the Tramp, It’s Time for Beany, and The Bugs Bunny Show. He was also a favorite of Ed Sullivan. Stan turned his attention in the late 1950s to advertising. He won two dozen CLIO awards, advertising’s equivalent of the Oscar. He was inducted into the Halls of Fame of radio, songwriters, and animation. All the while, he continued to work. In recent years, he continued to be a panelist at the Comic Con pop-culture convention. In November, he was honored in The Genius of Stan Freberg, a retrospective hosted by The Simpson’s Harry Shearer, and attended by the Monkees’ Micky Dolenz, Weird Al Yankovic, and others. A personal favorite of mine on vinyl was his send-up of Gunsmoke. It made quite an impression on me about the nature of comedy. 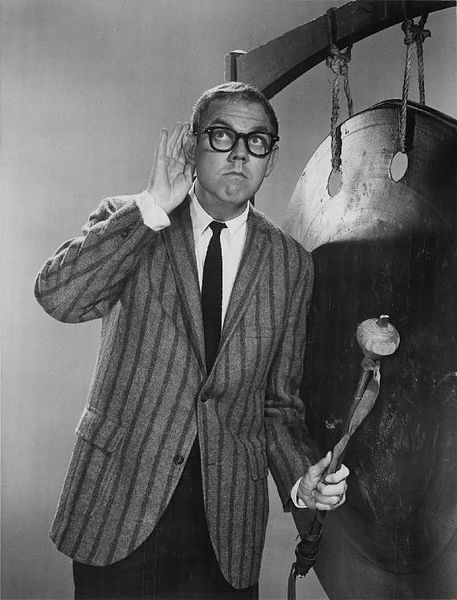 The venerable Stan Freberg was 88. James Best was best known for playing the inept Sheriff Rosco P. Coltrane on The Dukes of Hazzard. 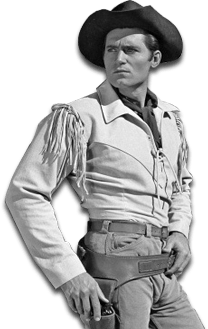 He spent six decades in cinema and television; and also worked as an acting coach, artist, college professor, and musician. His indelible image on The Dukes of Hazzard remains his most recognizable legacy. Best remained close friends with Sorrell Brooke (Boss Hogg) and Catharine Bach (Daisy Duke) until his passing. The amiable James Best was 88. 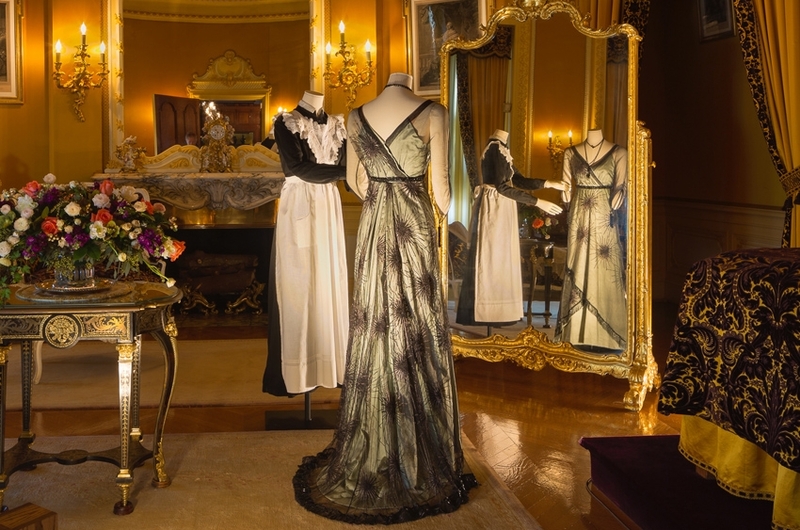 Biltmore House, the exhibition’s premiere location, strikingly resembles Highclere Castle where the series is filmed, making it easy for guests to imagine how the Vanderbilts and their employees lived a century ago. 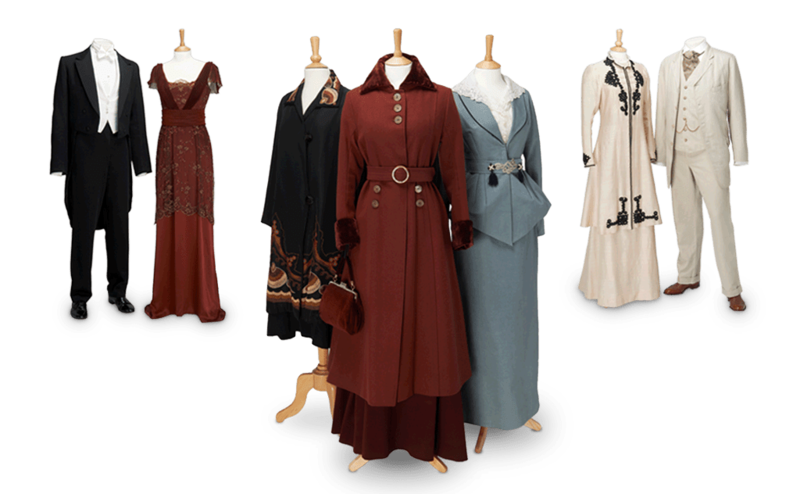 Ranging from servants’ uniforms to lavish evening gowns, the award-winning costumes reflect how world events—the sinking of the Titanic and the evolving roles of women—influenced fashions. Set in the early twentieth century, Dressing Downton traces the events that uprooted British society on the eve of World War I and ushered in the Roaring Twenties, the Jazz Age, and a new way of life. The exhibit highlights a time in British history when industry, fashion, and politics were changing drastically. This exhibition quickly filled its three-year tour, which says something about our obsession with all things Brit. This fine exhibition is designed and produced by Exhibits Development Group (EDG) in collaboration with NBC Universal International Television Production, the award-winning Cosprop LTD, London Museum, and Carnival Films/PBS. “Forgotten Hollywood”- I Love Lucy Statue Drawing Ire / Fear! A number of fans of Lucille Ball wants her statue removed from a park in her hometown, saying the ugly likeness does not do justice to the I Love Lucy star. The life-size bronze statue in Celoron, New York, has been likened to actor Steve Buscemi, singer Conway Twitty, the Beetlejuice snake, and other unflattering comparisons. Even Mayor Scott Schrecengost has gone on record saying he doesn’t care for the statue, which shows the comic star holding a bottle of the fictional Vitameatavegamin. And yet, it has been a tourist draw since 2009 for Celoron, the comedian’s birthplace, attracting visitors who pose with the statue for pictures. 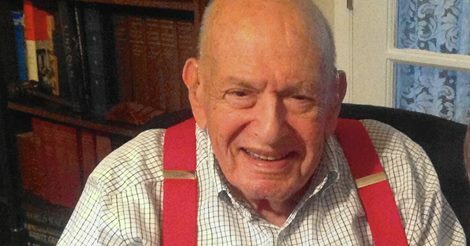 A resident of Jamestown, where Ball grew up, started the Facebook page in 2012: We Love Lucy! Get Rid of this Statue. The founder of the Facebook group would like to see the statue replaced with a new one outside a planned Comedy Hall of Fame in Jamestown, home to the Lucy-Desi Museum & Center for Comedy and the annual Lucille Ball Comedy Festival. The story appeared on Yahoo! News this past week, which spread over the internet, reviving debate about what to do. The residents were seriously considering a crowd-funding campaign to raise the needed funds. 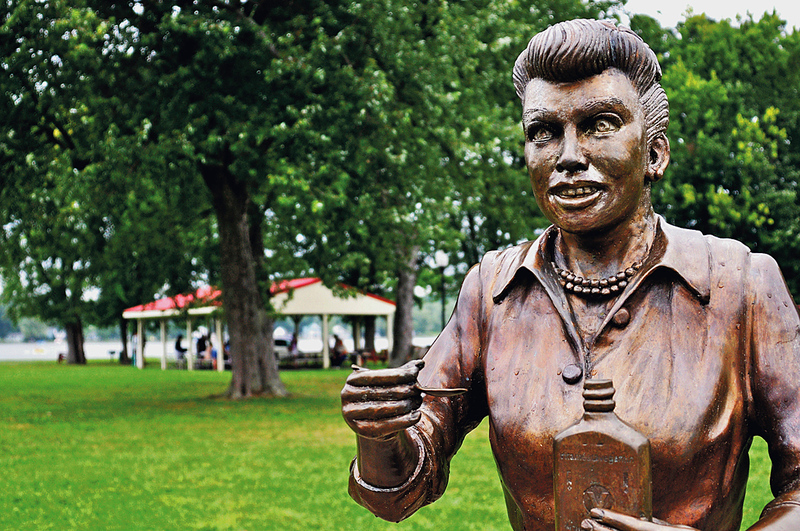 In the meantime, the statue of Lucy is scaring children and generating a public debate. The result of all this public attention… Instead of the sculptor receiving $8000 to $10,000 to replace the fixture, he is now offering to refurbish the statue on his own dime. Let’s just hope people will love the new Lucy. As Ricky Ricardo might have surmised… We have some splaining to do! Richard Dysart had a meticulous career on stage, in motion pictures, and television. He is best remembered as the senior partner Leland McKenzie in the long-running courtroom drama, L.A. Law. He finally earned an Emmy for that assignment after three previous nominations. His finest moment in cinema was when he played the doctor in Being There, providing reliable support to Peter Sellers, Shirley MacLaine, Melvyn Douglas (who won an Oscar), and Jack Warden. He also co-starred in The Hospital, Pale Rider, The Hindenburg, The Thing, The Day of the Locust, The Falcon and the Snowman, The Last Days of Patton, Mask, An Enemy of the People, Back to the Future Part III, and Wall Street. In 1990, Dysart was awarded a fitting Honorary Doctorate of Law at Emerson College in Boston. It complimented his Master’s Degree. 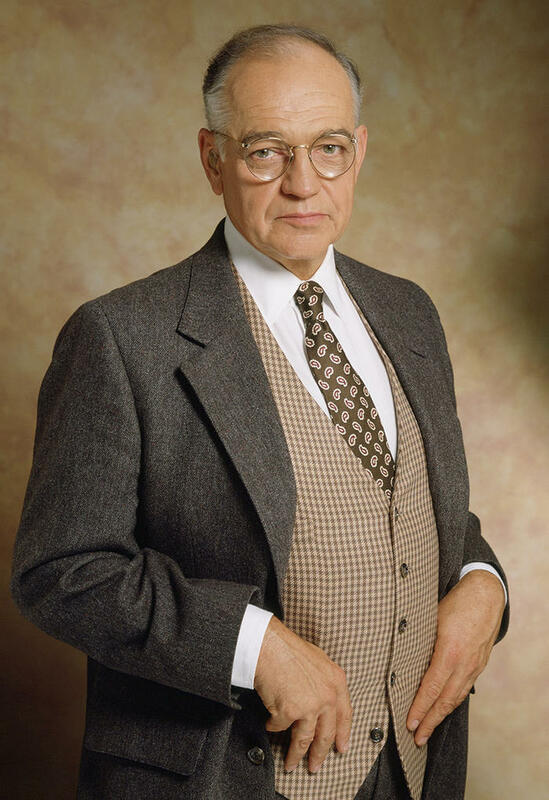 The absolutely wonderful Richard Dysart was 86. ~ Los Angeles Historic Theatre Foundation – Here’s a non-profit organization dedicated to protecting, preserving, restoring, and sustaining the operation of Southern California’s historic theatres. Many were built in the first half of the 20th Century. Among the locales under the banner of LAHTF include the Shrine Auditorium, Wilshire Ebell Theatre, El Capitan Theatre, Pantages Theatre, Egyptian Theatre, Pasadena Playhouse, and Rialto Theatre in South Pasadena. Just yesterday, LAHTF was on hand to witness the late night installation of the new state-of-the-art IMAX laser projectors in the historic Chinese Theatre. The projectors are about twice the size as the old IMAX Digital. ~ Los Angeles Conservancy / Broadway Historic Theatre & Commercial District Walking Tour – Once the entertainment epicenter of Los Angeles, Broadway was home to dozens of major retail and clothing stores, as well as twelve movie palaces built between 1910 and 1931. Although the theatres no longer regularly show films (special event venue, filming location, and retail are among the current uses), their elegant presence remains. This is primarily an exterior tour that visits the interiors of one or more of the following: the Los Angeles Theatre, Theatre at the Ace (formerly United Artists Theatre), and the Orpheum Theatre. 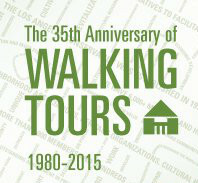 Now celebrating its 35th anniversary, these tours are usually held on Saturdays at 10a. ~ Los Angeles Conservancy / Last Remaining Seats – An annual seasonal program of special screenings of classic motion pictures at many of these historic theatres. Tickets for our 2015 season are now on sale exclusively to Conservancy members for $16. Tickets go on sale to the general public on Wednesday, April 8th at 10a for $20. The 2015 Summer slate includes Psycho / Million Dollar Theatre (6/10); City Lights / Los Angeles Theatre (6/13); How to Marry a Millionaire / Music Center’s Dorothy Chandler Pavilion (6/20); Willie Wonka & the Chocolate Factory / Orpheum Theatre (6/24); Raiders of the Lost Ark / Theatre at the Ace (6/27). Each screening is at 8p. By the way, City Lights is being shown at the original location where it premiered in 1931, which is historically quite cool! It’s obvious there is a groundswell of support in preserving the historic areas and aspects of Hollywoodland.